A village that is located just a little bit west of Chicago, Addison is a great location for a vacation or a new home. This Illinois town is perfect place to enjoy the beauty of the Illinois countryside. Visitors love Mallard Lake for fishing and boating, the Churchill Prairie Nature Preserve, and the Sky Zone Trampoline Park. Addison is also a great place to be when a dental emergency strikes. There are excellent general dentists, orthodontists, and periodontists standing by to make your dental problem a thing of the past. 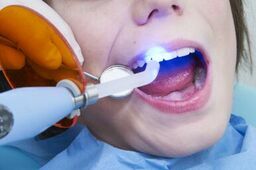 The Emergencydentistsusa.com website is a great location to begin and end your search for a new Addison dentist. Our website provides you with a comprehensive listing of hand-selected emergency dentists who are always available to care for your dental problem. Find information that includes office services, driving directions, insurances accepted, and even office hours right at your fingertips. The Emergencydentistsusa.com website makes it a breeze to select a new Addison emergency dentist and set up that first appointment. When it takes a little more time to find the right emergency dentist, you can always choose to call our dentist finder hotline. This 24-hour service connects you with a caring agent who can help you to select a dentist, set up the first appointment, and find the office without getting lost. Our dentist finder service is always toll-free. Remember to bring your photo ID and dental insurance card with you to visit your Addison emergency dentist. Arrive at least 10 minutes early for your first appointment so that you can fill out your new patient paperwork. Addison is a quiet country village with plenty of outdoor activities available for visitors who love Illinois. This town is also a great location when it comes to selecting a new emergency dentist. Scroll down to see our top three Addison emergency dentists below. Description: Confident and friendly, Dr. Mijewski welcomes new patients to Atrium Dental Care of Addison. This full-service dental clinic provides state-of-the-art digital x-rays along with cosmetic and restorative dental care. A convenient office schedule makes it simple to get a great dental appointment today. Description: Treating both children and adults, 1st Family Dental in Addison welcome you to your new emergency dental office. This clinic provides complicated procedures like full mouth restorations along with the usual cleanings and x-rays. Convenient office hours provide every person with a great time to visit the dentist. Description: Dr. Ahmed and Dr. Patel provide you with the best in emergency dental services. This convenient family dental clinic offers both restorative care and cosmetic services in a single location. Flexible office hours make it simple to get a great appointment when you need it. When tooth pain makes your day miserable, your Addison emergency dentist is available to help you. Any time that a toothache lasts for more than an hour or two, you should definitely visit a dentist immediately. If your dental problem begins with a fall or sports injury, head straight to the hospital emergency room or an urgent care center to ensure that you do not have injuries that could be life threatening. You can then follow up with your dentist to address the tooth pain. The Illinois Dental Society website is a great place to find current licensing and credentialing documents for each new dentist that you choose. Just log onto the website and enter your dentist’s name in the search box. It is important to select only a dentist who is currently licensed in your state. You can also view this information by visiting the dental office and speaking with the receptionist. Most dentists keep their current license on display in the office for patients to view.